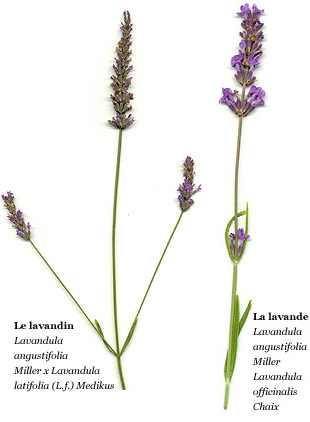 Do you know the difference between fine lavender and lavandin? In the region of Provence, fine lavender (lavandula angustifolia) grows at a high altitude of 800 metres to about 1,200 metres above sea-level. It’s a small plant with only a small flower on each stem. It reproduces by seeding. 130 kgs of flowers are needed to obtain 1 litre of essentiel oil. Lavandin (lavandula hyrida) is a hybrid between find lavender and spike lavender. It is sterile and it reproduces only by cuttings. Just about 40 kgs of flowers are needed to obtain 1 litre of essentiel oil. During this time of the year, April to May, mechanical weeding with a ‘griffon’ (claw-like rake) is fixed behind the tractor to pull out weeds between the rows of lavender. For under 3 year-old lavender plants, we need with a hoe, as it could be uprooted by the rake. All efforts are put by the farmers now to get the lavender plants ready for the blossom.